William F. Gavin has led an incredible writing life in and out of American politics: starting his illustrious career as speechwriter for President Richard Nixon and other political luminaries, Gavin went on to publish two well-received novels. The most recent addition to his impressive oeuvre is a combination memoir and writer’s companion. 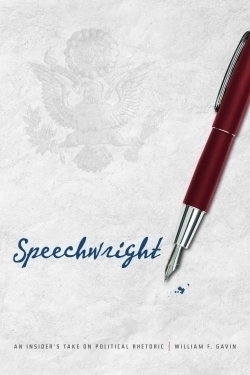 In Speechwright: An Insider’s Take on Political Rhetoric, Gavin shares his extensive knowledge by meditating on good speech writing and the characteristics of a successful speech. Gavin’s anecdotes highlight his personal experiences and speech-crafting triumphs while on campaign trails, in the White House, and more. Indeed, he serves up such a delicious peek behind the curtain at the political desires, goals, and personalities of presidents and other leaders that even those with no interest in speech writing will find Gavin’s stories educating and enlightening. A recurrent theme in the author’s message is derived from a critic’s statement about an F. Scott Fitzgerald novel: “It makes every mistake but one. It doesn’t fail to live.” Indeed, says Gavin, as long as a speech lives, it is in some way getting through to its audience, fostering communication and a lasting impression. Gavin tells the reader how he himself (with his clients’ help) makes his speeches live for those he serves. Gavin’s writing is bold, accomplished, and extremely compelling. He has a knack for making all things beautiful, even, and perhaps especially, the stinging moments of truth about Americans and American dreams. For those interested in speech writing, this book will be an important one to have close at hand; for those interested in American political history and its leaders, it is indispensable.